It is the mission of the Newark Fire Division to protect the lives and property of the citizens and visitors of the City of Newark during all emergencies and disasters, whether natural or man-made. We will maintain and uphold the integrity of our neighborhoods through effective emergency management, fire prevention and public education. We will effectively and efficiently utilize all available resources to provide service deemed excellent by the people. From his earliest years of growing up in the North Ward of the City, Assistant Director Raul Malave knew that he was destined to become a public safety servant. At the age of 7, his family’s house caught fire on Summer Avenue, and as the only son he had to assist with making sure his four sisters got out safely. He could only imagine the chaos that could ensue due to this 2nd Alarm blaze; but to his amazement he was astonished at the well coordinated efforts and dedication depicted by both Police and Fire personnel at the scene. It was this deep appreciation of emergency responders which sparked his intense devotion to wanting to protect and serve those around him. In 1991, Assistant Director Malave decided it was time to make his dream a reality and become a more integral part of City’s mission to protect the lives and property of its citizens by applying for the position of Firefighter. In his heart he knew he wanted and needed to be vested to make a difference in this Great City. 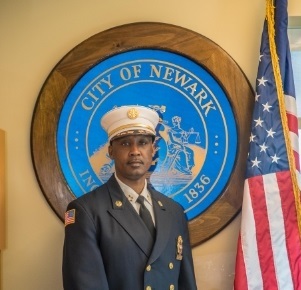 Since not being immediately called by the Fire Department he applied for the Police Officer examination; but in 1995 his dreams became a reality when the Newark Fire Department called upon him to serve as one of “Newark’s Bravest” and he gladly accepted. Over the next 21 years, his meteoric rise took him from entry-level Firefighter to Fire Captain, Fire Battalion Chief and Executive Office of both the Fire Director’s and Fire Chief’s Offices. While holding these positions he gained extensive experience in all administrative aspects which includes budget preparation, recruitment, discipline, short and long term strategic planning, training, apparatus and equipment acquisition and community outreach programming. Assistant Director Malave has demonstrated the ability to resolve complex issues surrounding the most complex circumstances with the utmost attention while maintaining the reputation and efficiency of the Department. As our newly appointed Assistant Director of Public Safety, he embarks upon the most challenging assignment of his life, overseeing both his dreamed departments of Police and Fire; while encompassing the Office of Emergency Management & Homeland Security. Under the direct direction of Public Safety Director Anthony F. Ambrose III, Assistant Director Malave has already identified his efforts to streamline efficiencies and implement shared services throughout the department by creating plans where the day-to-day operations of all three disciplines blend and become seamless affecting the overall success of the immediate and distant future of the department. Assistant Director Malave is a twenty-one year decorated member of the City and highly proficient in all levels of management and supervisory leadership skills; grant writing; fire suppression, and serves as the city’s New Jersey State Police Outreach Officer through the State Police Regional Operational Intelligence Center (ROIC). His acquired certifications and training includes Incident Management, Jurisdictional Crisis Emergency Management for EOC (TEEX), Fire Service Instruction; Drill Ground Instruction; Incident Safety Officer; National Incident Management System; Urban Search and Rescue Advanced Collapse Technician; Urban Search and Rescue Structural Collapse Technician and Firefighter 1 and 2 Certification. Assistant Director Malave received several notable commendations during his tenure which include the New Jersey Legislature Senate Resolution; Prestigious 200 Club Valor Award; Life Saving Valor Award; Hispanic Firefighter’s Achievement Award (1st Latino Battalion Chief); Grand Cordon Award Team Rescue ’98, ‘99’04. 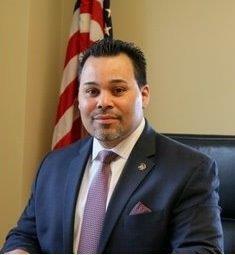 Assistant Director of Public Safety Raul Malave III is ready for this new challenge.